The death of Robert French, which occurred on February 19th in the Empire Hospital for Officers in London, was announced in the Times yesterday. We had news of his situation last month (January 5th) and understood that he had been hopeful of recovery and was quite expecting to go to a convalescent home in Roehampton up to, at any rate, a week or two before his death. And now, nearly five months after he was wounded, he has succumbed to infection. Robert won a scholarship to Blundell’s School from the OPS and was part of the Officer Training Corps there, rising to the rank of Sergeant. In 1911 he was commissioned in to the 3rd Battalion the Royal Welch Fusiliers as a probationary second Lieutenant. According to his father, he spent the whole of a legacy (practically all he had) on his training and outfit. This was in addition to the Government grant, which was found to be totally inadequate for the purpose. At the outbreak of war, Robert joined the 2nd Battalion Royal Welch Fusiliers (the same unit as Capt. 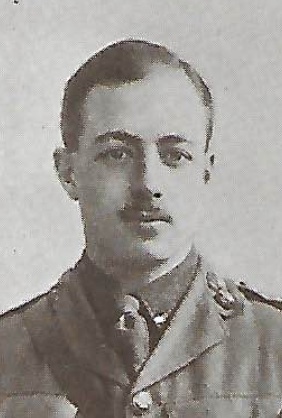 George Fletcher, who was killed on March 20th 1915). He took part in the retreat from Mons and the battles of the Marne and Aisne and was promoted to the rank of Captain in February 1915. A seventh Old Dragon has perished in this war. 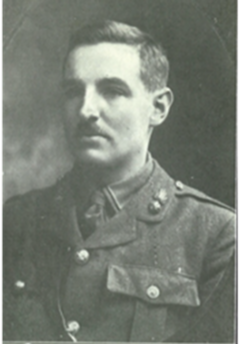 George Fletcher was hit in the head by a sniper’s bullet on March 20th as he looked over the parapet of his trench. Robin Laffan, who knew George all through the OPS, Eton and Balliol has written a heart-felt appreciation of his and our dear friend. “The war has taken its cruel toll from a family universally beloved by all who know them. In August last, the three sons of Mr. CRL Fletcher flew to arms as a matter of course. Today Leslie, on board HMS Colossus, is the only one still with us. In November the tale of Regie’s splendid death (see November 2nd); and now the blow is renewed with the tidings of George’s similar end. News of George’s death was announced on page 4 of yesterday’s edition of the Times under the title of ‘An Eton Master’s Death’. 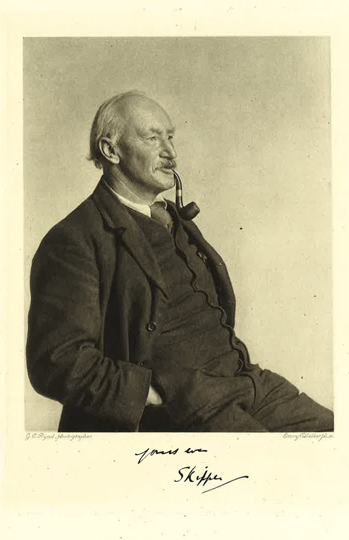 Since his departure for the Front, his father, CRL Fletcher, a Fellow of Magdalen College, has been at Eton teaching his classes in his stead. The arrival of winter weather has put an end, at least for the time being, to the fighting at Ypres. Both sides have suffered most horribly and there have been times when British troops have risked their lives to help the enemy wounded. George Fletcher (Royal Welsh Fusiliers) describes an incident in which he was involved. “We were fortunate in being able to rescue one wretched man. He was one of the advanced party in the charge, and had seven bullets in him. He stopped for a day in front of us shouting, but we were getting such a peppering from snipers all that day that we were not allowed to fetch him. At night I got two volunteers to come and fetch him, and just as we were getting out such a hail of bullets came that we nipped back. Whilst the war takes up the thoughts of us adults, it is important that life at the OPS continues as smoothly as possible for our young Dragons. The beautiful weather which held for the first month of term made rugger impossible. In the first match, against Eagle House on November 4th, considering all things, although the team lost 0-22, they made a good show and look as they might develop into a good side. 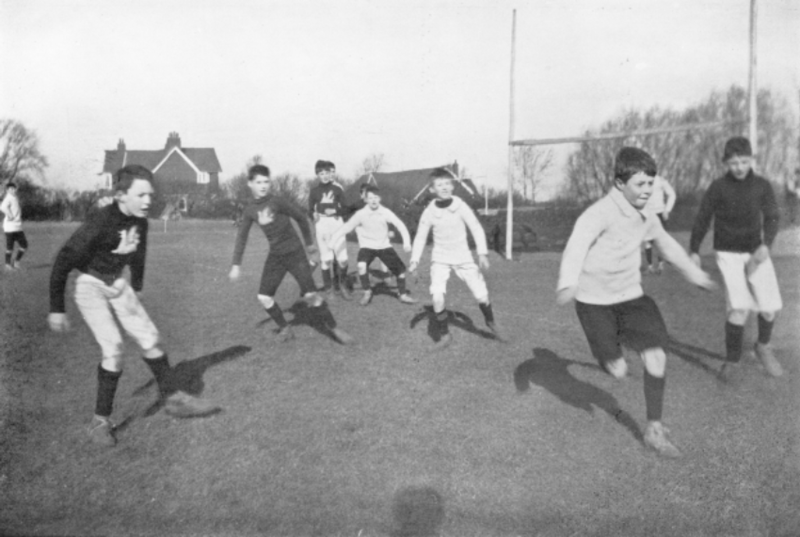 I am not convinced of the desirability of keeping each boy to play in a particular place practically always. To know the game properly, a boy ought to be prepared to play half or forward or three-quarters as he may happen to be asked. I must say I think criticism of an individual’s play, sometimes very emphatic and loud-tongued, should be entirely abolished during the progress of the game; and nothing but encouragement allowed. Personally I know what the effect on myself would be if I were yelled at as a slacker or funk in the middle of a match! The boys have sent stamps to the Base Hospital, and indeed have made a very large money collection considering their small incomes! The ‘Blue Dragon’ gramophone with its lovely old records and many new ones has delighted the inmates of Medical Ward V, where it is guarded jealously from the raids of other wards. ‘Hum’ has been almoner-in-chief and has installed and looked after Belgian refugees at the Lodge and elsewhere. 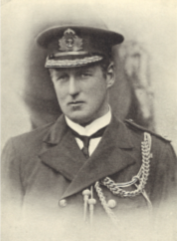 He has also collected and forwarded sweaters, pipes, pencils and writing books, subscribed for by the boys, to various quarters, including HMS Colossus, HMS St. Vincent and HMS Russell. 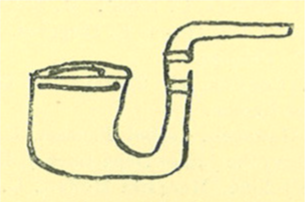 Pipes very much appreciated – now smoked by His Majesty’s Jollies. And the other one that might have been made by Krupp? It was a kind thought and entailing some sacrifice I’ve no doubt – parting with old friends – Censor allows no news. A line to thank you all for sending us that generous supply of briar pipes. The men are no end pleased, and wish me to thank you for your kind thought for them. I only wish I could come and thank you all personally for them! But I shan’t be able to do that until they become Pipes of Peace.